The journey to bottling wine is a year long process of growing, harvesting and wine making. 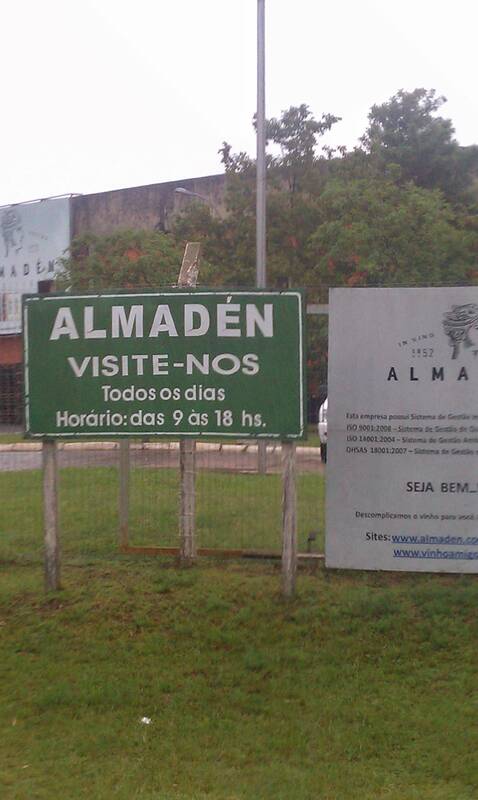 I had the opportunity to visit one of the largest wineries in Southern Brazil, Almaden. The winery was once owned by an American company, Natural Distillers and it was sold to Seagram, then Pernod-Ricard and today belongs to Brazil’s largest wine company, Miolo Wine Group. The wines are not of fine wines. They are intended for early consumption and run about $3 per bottle. The Charles Shaw of Brazil. I am not going to write a review or post tasting notes about Almaden. The wines are fruity and perfect for a hot day with a scoop of ice cubes. I simply want to post the bottling wine process, which is not very different from any other winery, but I found to be intriguing. One small room and a few workers bottling thousands of bottles which will be consumed tomorrow.